Michael W. Spangler was born in October, 1959, in Bryan, Ohio, and graduated from Bryan High School in 1978. He then graduated from Lander College in Greenwood, South Carolina with a Bachelor of Arts Degree in Education, after which he taught high school the following year at Ware Shoals High School where he helped coach that school’s varsity football team to a State Championship that year. In 1983, Michael W. Spangler then entered the University Of South Carolina School Of Law in Columbia, SC, and graduated with his Juris Doctorate in 1986. Mr. Spangler returned to Williams County, Ohio, in the fall of 1986, where he began his legal career with Newcomer, Shaffer, Spangler & Breininger, the only firm for which he has ever worked. He became a partner in 1991. Mr. Spangler spends the majority of his time at the firm’s Bryan, Ohio location, but also operates a satellite office of the firm in Montpelier, Ohio. For more than the past 30 years, Mr. Spangler has been representing the interests of residents of northwestern Ohio in a wide variety of matters. The primary areas of his practice are estate planning and administration, real estate taxation, and elder law. He is particularly interested in estate administration and real estate matters that involve agricultural lands and conservation practices. Mr. Spangler was admitted to the Ohio Bar Association in 1986. 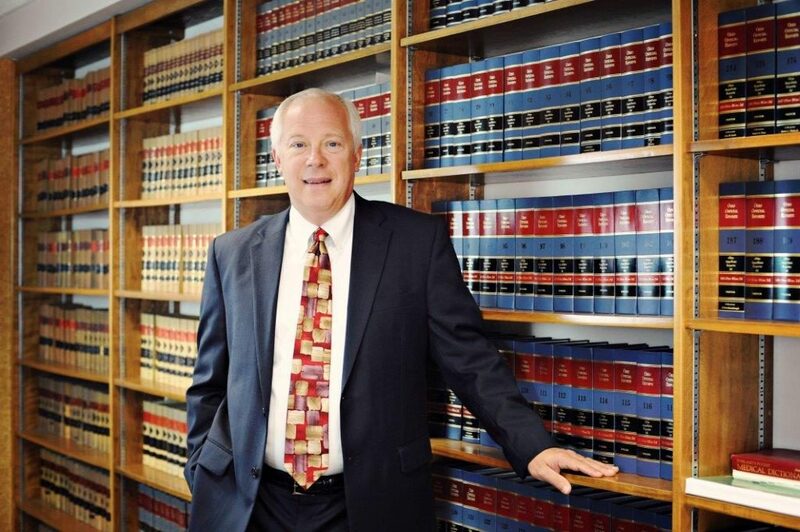 He is a member and former president of the Northwest Ohio Bar Association. For more than 30 years he was an active member of the Northwest Ohio Bar Certified Local Grievance Committee and its former president. He is also a member of the Williams County, Ohio Bar Association and former president of that organization. Michael W. Spangler resides just outside of Bryan, Ohio, with his wife, Julie. Between them they have five grown children scattered across the country and they enjoy every chance they get to travel and visit with the children. When he is not in one of his offices, he is most likely to be found either in his woodworking shop or outdoors. He and his former law partner, David C. Newcomer, own and operate a portable saw mill with which they harvest and produce premium hardwoods for themselves and area craftsmen. Mr. Spangler’s real passion is chasing upland birds. He is a Pheasants Forever member, and a founding member of the Williams County, Ohio chapter, which is now 30 years strong. He remains very active in the affairs of the local Pheasants Forever chapter, and often is involved with area landowners who participate in conservation and related practices through the local Farm Service Agency.